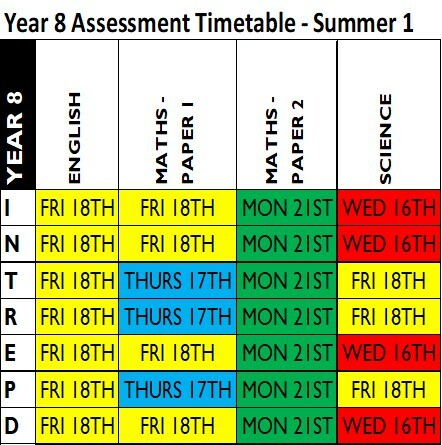 The summer 1 assessment week for Years 7, 8 and 9 takes place from Monday 14th May to Friday 18th May. 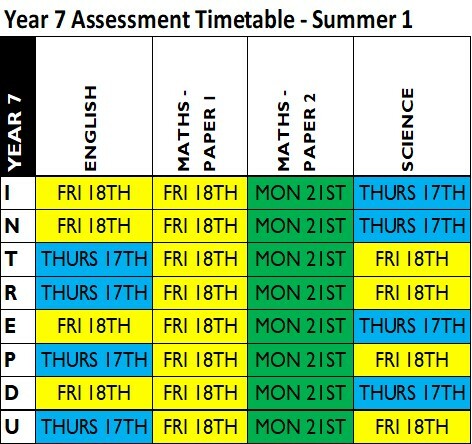 Students will sit assessments in English, Maths and Science. 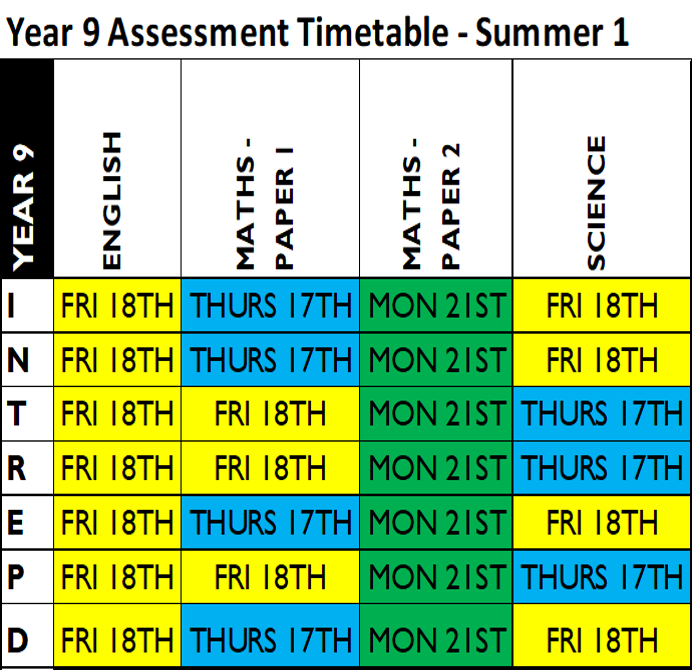 The exam timetables for each year group are provided below for parent information.